Rep. Lee (D-CA) and Sen. Cory Booker (D-NJ) want all 12 CSA statues gone. There are no statues of King George III in the U.S. Capitol. There are no statues of General Cornwallis. There are no statues of King Alfonso, no statues of General Santa Ana, no statues of Hitler or Stalin or Emperor Hirohito or Saddam Hussein or Osama bin Laden. But there are statues of 12 men from a foreign power that tried its very best to destroy the United States. There are 12 statues of high ranking members of the Confederate States of America. This week, one member of the Senate, Cory Booker (D-NJ), and one member of the House, Barbara Lee (D-CA), introduced legislation to get rid of all 12. 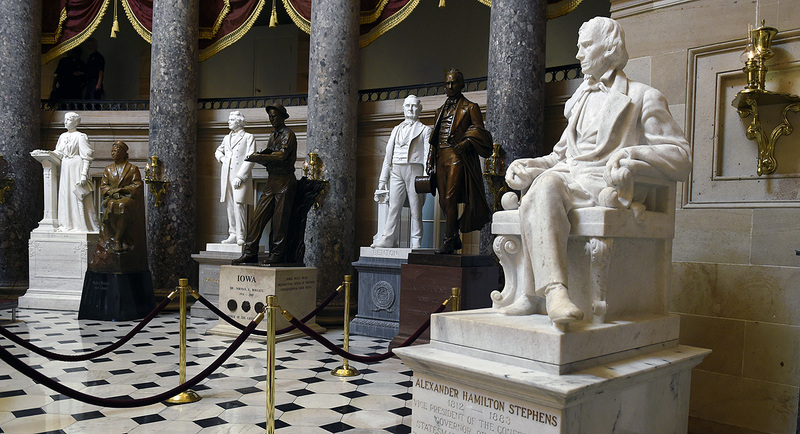 Both versions of the legislation are called the Confederate Monument Removal Act, and if passed, both would require that all 12 statues be removed from display in the U.S. Capitol’s National Statuary Hall Collection within 120 days. Booker echoed his colleague’s words. The National Statuary Gallery was created to honor “illustrious” Americans who served or sacrificed their lived for the United States. 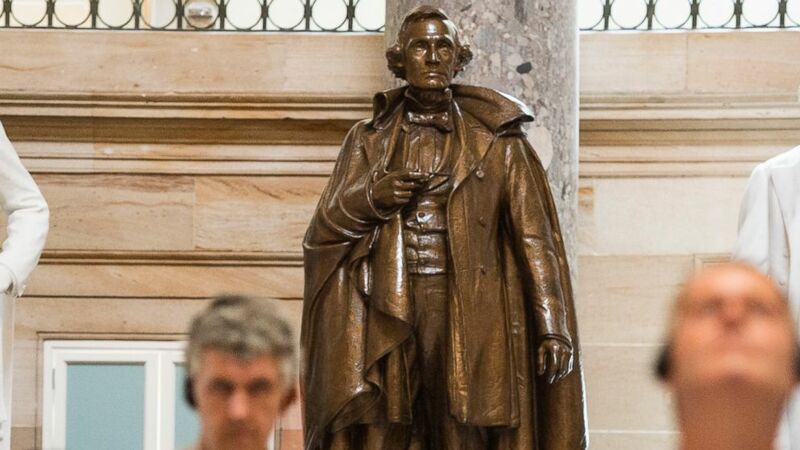 Because of this, proponents of the new bills say that the statues of those who founded the Confederate States and took up arms against the United States have no place there. The bills do, however, assign historical value to the statues and say that states ought to be allowed to claim them if they so chose. Any unclaimed statues would then be given to the Smithsonian for safe keeping.